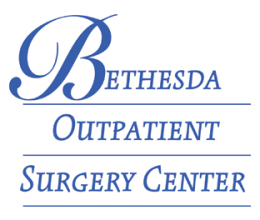 Bethesda Hospital East and Bethesda Hospital West: Fully accredited hospitals. Bethesda Health City Outpatient Surgery Center: Located across from our office in Boynton Beach. It’s a fully accredited surgery center for same day surgeries. Boca Raton Outpatient Surgery and Laser Center (BROSLC): Also specializes in procedures that allow patients to return home the same day of surgery. The surgery center is governed by State and Federal guidelines and follows stringent standards for patient care and safety. Delray Ambulatory Surgery and Laser Center (DASLC): Specializes in procedures that allow patients to return home the same day of surgery. The surgery center is governed by State and Federal guidelines and follows stringent standards for patient care and safety. To inquire more about our services and to schedule a Complimentary Consultation to review your needs, please contact us Monday – Thursday between 8:30am – 5pm and Friday between 8:30am – 2pm. From FL Turnpike: Florida Turnpike to Boynton Beach Boulevard heading East, drive approximately .7 miles and turn right (South) on Hagen Ranch Road. Bethesda Health City’s entrance is on the right-hand side (west side) of the street. Our office parking lot is located in the “D” entrance, suite # 730. From Interstate 95 : Exit at Boynton Beach Boulevard and head West 5.6 miles to Hagen Ranch Road, turn left (South). Bethesda Health City’s entrance is on the right-hand side (west side) of the street. Our office parking lot is located in the “D” entrance, suite # 730.